Orkney comprises 70 or so islands and skerries, of which up to 19 may be inhabited depending on the time of year. The total land area of approximately 1,000 square kilometres raises some of the best livestock in Scotland and Orkney enjoys an outstanding natural environment with clean air and water, fine scenery, diverse wildlife and a unique cultural heritage. The sea separates Orkney from the Scottish mainland and Orkney’s mainland from its island communities. Yet it is the sea which has contributed to self-sufficiency, a fascinating history, and helped to create a unique local culture and strong sense of community. However, Orkney is not immune to the difficulties facing other remote and rural communities, including an ageing population, under-employment, low wages, a high cost of living, limited affordable housing, fuel poverty and access to essential services. 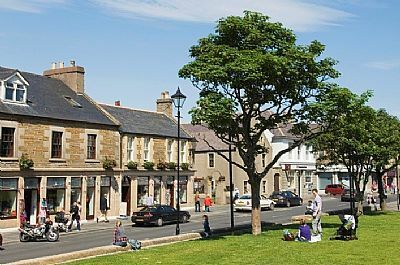 The estimated total population of Orkney as at 30 June 2017 was 22,000, an increase of 0.7% from 21,850 in 2016. Between 2016 and 2026, the population is projected to rise from 21,850 to 21,953. Over this 10 year period the age group that is projected to increase the most is the 75+ group. In terms of size, the 45 to 64 group is projected to remain the largest. 178 births were registered in Orkney in 2016, a decrease of 6.8% from 191 births in 2015. 223 deaths were registered in 2017. Female life expectancy at birth (82.7 years) is greater than male life expectancy (80.3 years), and both are greater than the Scottish average. From 2015-16 there was an average net inflow of 223 people into Orkney per year, the highest level being in the 40 – 44 age group. On average 711 arrived and 635 left per year. 112 marriages were registered in Orkney in 2016 and no civil partnerships. In 2016 Orkney had an estimated 10,256 households and 11,063 dwellings. 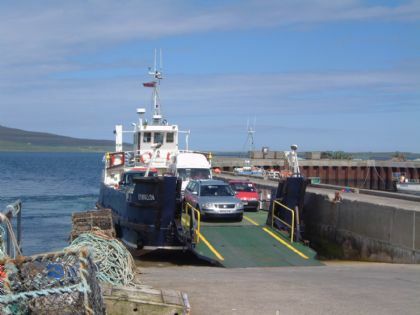 Sustainability is a particular challenge for Orkney's smaller isles. While the overall population may be growing, there has been a steady drift away from the isles towards mainland Orkney. In 1961, 28% of the population lived on the isles but by the 2011 census, this figure had dropped to 19.6%. Access to services is a key driver behind this trend, with all of Orkney's smaller isles ranking among the most deprived 10% of communities in Scotland in this regard. Local development trusts in several of the isles have taken decisive action to improve their sustainability by investing in community wind turbines. This is generating income to invest in local enterprises, services and projects of benefit to the community. Wind and increasingly marine renewable energy have huge potential to increase the sustainability of Orkney as a whole.